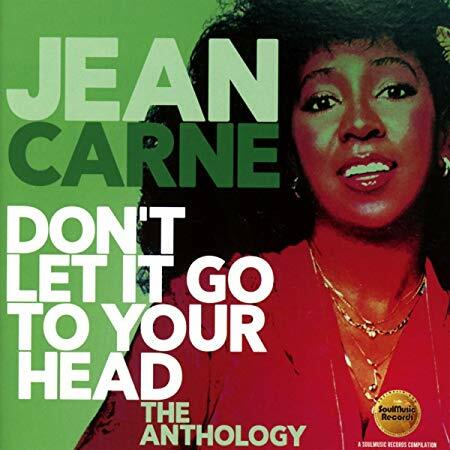 Jean Carne’s immense musical talent has always been evident to anyone who comes into her orbit. And some pretty significant musical figures have been drawn to Carne and her five-octave vocal range throughout a career that has spanned more than five decades. Carne’s collaborators include band leader and former husband Doug Carn, Maurice White and Earth, Wind & Fire, Duke Ellington, Kenny Gamble and Leon Huff of Philadelphia International Records, Grover Washington, Jr., Norman Connors, and Stevie Wonder, just to name a few. And after listening to Carne’s vocal talent that shines throughout the 31 track Don’t Let It Go To Your Head: The Anthology, the latest in the Soul Music Records release, it’s easy to see why. The artist was born Sarah Jean Perkins, and it is in the home of her parents in Columbus, Ga. where her musical talents were first cultivated, first in the church choir, then as a multi-instrumentalist and eventually as an opera singer and actress in musical theater at Morris Brown College. She planned to continue her musical studies at Julliard, but that changed after meeting jazz pianist Carn and becoming the featured vocalist in his jazz fusion band. The couple relocated to Los Angeles where they released three albums. Carn (she added the ‘e’ to her name later in the 1970s), served as backing vocalist with EW&F after White heard her rehearsing in the apartment complex where they all lived (I bet nobody complained about the noise there). By the 1970s, Carne would undergo a personal and career upheaval as her marriage and time in Doug Carn’s band came to an end. However, Carne was entering her career’s most commercially and creatively productive period. She began a long-term professional relationship with Connors that yielded on of soul music’s best loved ballads, and she toured with Ellington during the last year of the jazz legend’s life. Ellington worked with singers such as Bing Cosby, Ella Fitzgerald and Rosemary Clooney. That alone is a testament to Carne’s vocal talent.